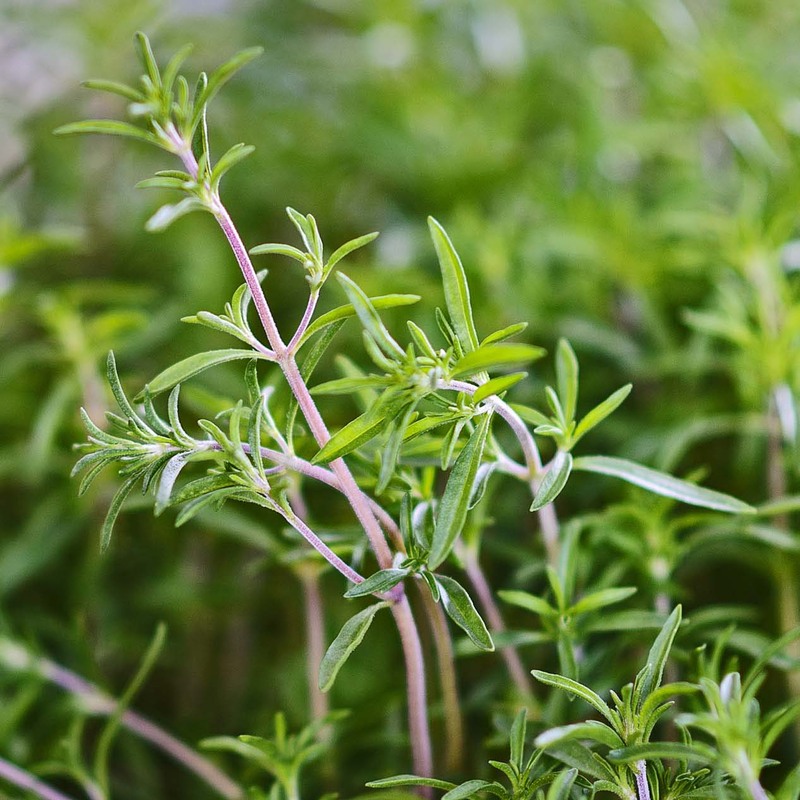 “One of the pleasantest of the sweet-herbs, and sooner or later to be tried by every gardener.” That’s how Henry Beston sums up summer savory in his classic Herbs and the Earth. Savory is an under-appreciated herb that doesn’t make many American top ten herb lists. This is your year to change that, as savory has been designated 2015’s Herb of the Year. While there are 30 savory species, two are especially welcome additions to Chicago’s USDA Zone 5 herb gardens: Satureja hortensis, or summer savory, is grown as an annual, and considered more refined than Satureja montana, the winter savory crucial to the cuisine of Provençal. Both take their genus name, Satureja, from the half-human/half-immortal satyrs who were said to favor the herbs. And both have a well known affinity for beans, Winter savory is sometimes called the “bean herb”—typically cooked with all kinds of beans, even from a can. It turns out that savory helps humans to digest beans more easily, too. 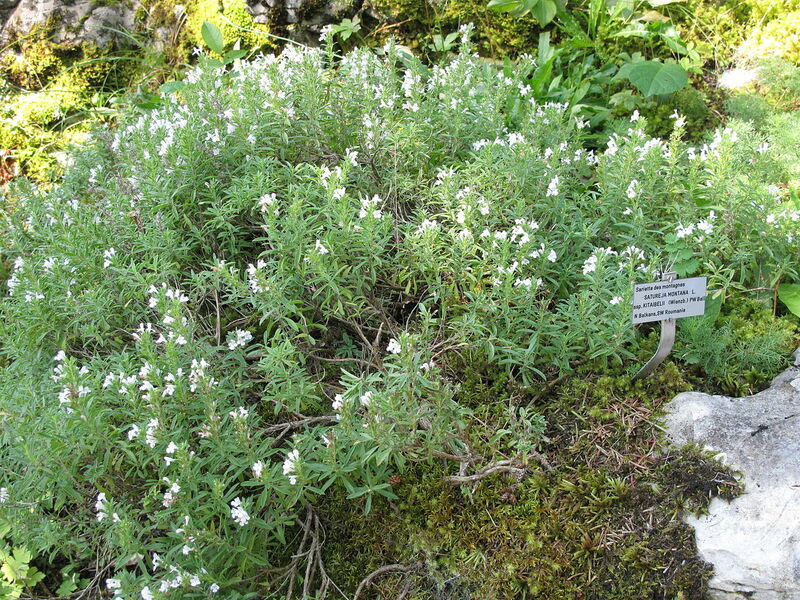 The stronger of the two herbs, winter savory has been known to world cuisines for at least 2,000 years. Peppery and spicy, it’s strong enough to replace garlic or pepper. A semi-evergreen plant, winter savory is a fine addition to flower/herb beds, and sometimes overwinters here. Gardeners with poor soil will be happy to know that it actually prefers those conditions. Plant summer savory in a raised bed so it gets the good drainage it needs. Plant two: one for you, and one to go to flower for the bees! Summer savory wants light, well-fertilized soil. With a taste similar to oregano, it’s great with both meat and bean dishes (think fresh green beans + savory + chunky salt). Sow it from seed, but buy new seed every year (it doesn’t stay viable for long). Harvest regularly, then cut the whole plant and dry it for winter use. Drying lots of herbs? You’ll want summer savory as one of the key ingredients for bouquet garni and herbes de Provence mixes.